These are yummy! Love the color, love the shape. 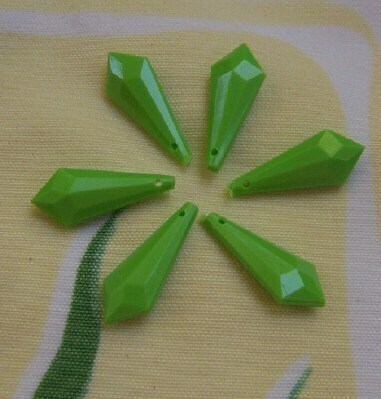 Vintage plastic charms or drops done in a super lime green color. These are faceted and come to a point. They measure 25mm long X 10mm at the widest point. You will receive 6 of these.